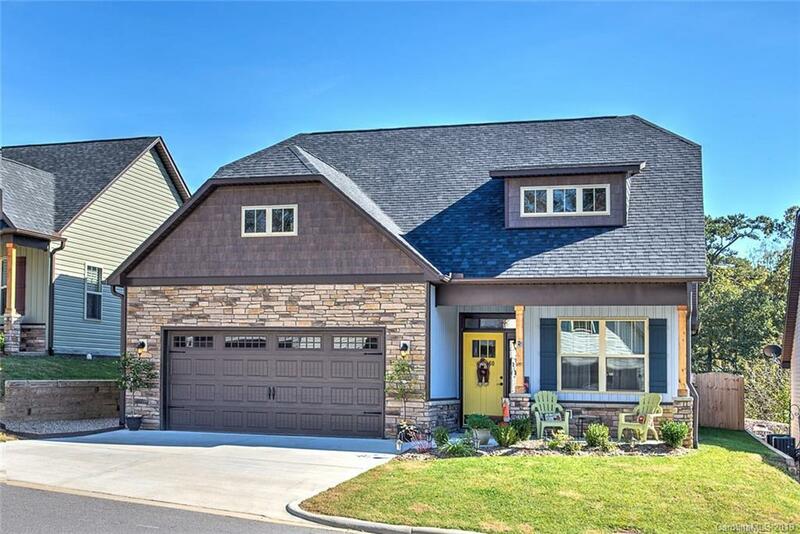 Beautiful Newer Construction And Meticulously Maintained Home In A Wonderful Quiet Neighborhood In The Heart Of Weaverville And Lake Louise With Mountain Views. Take The Family For A Short Walk To Enjoy The Sights And Sounds Of Lake Louise, Enjoy The Walking Trail, Playground, Picnic Area, And Feed The Ducks. Or Enjoy The Short Walk To Downtown Weaverville. This Hard To Find 4 Bedroom Home With 3 Full Baths And Bonus Room Has Several Desirable Features, Including Gorgeous Wood Floors Throughout The Main Living Area, Beautiful Kitchen w/Stainless Steel Appliances, Formal Dining Room w/ Coffered Ceilings, As Well As 9 Foot Ceilings And Natural Gas Fireplace. The Master Bedroom Features Trey Ceilings, Master Bath Dual Sinks & Over-sized Tiled Shower, Floored Attic Space For Extra Storage. That's Not All, Relax On the Screened In Back Porch Or Hang Out In The Yard With A Full Privacy Fence Around It. Less Than 15 Minutes To Vibrant DT Asheviile, This One Is A MUST See!